Occupational therapists can also prescribe, if necessary, devices and equipment to help you do the activities you want and need. They will make sure you can use the device in the best way to meet your needs. This means that you will get a total solution and not just a product. Please see our listing of therapy equipment suppliers below. If you are a supplier and interested in a listing on this site please contact us. We offer a dedicated Community Care team to meet the mobility & daily living equipment needs of clients living in the community or their own homes. Approved provider for NDIS, I-Care, DVA and NSW Health Enable. Brazier Mobility (formerly known as Les Brazier Special Vehicles) is Australia’s premier converter of Vehicles for Wheelchair Accessibility and modified driving controls. 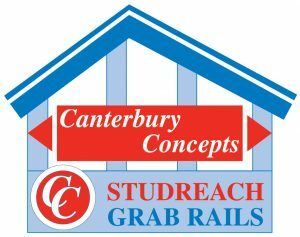 The original Canterbury Concepts grabrail system was created to assist people to return to or stay in their homes, safe and independent. The Dawn Clock is designed to help people maintain their feeling of independence. With a simple and clear display, our clock assists sufferers to link time with their daily routine. INS LifeGuard provides unique IP and wireless 3G and 4G based converged Medical Alarms, TeleHealth and Home Automation systems known as the LifeGuard SmartHome. We exclusively employ qualified nurses to handle all alarms 24/7. INS LifeGuard are a contracted provider to Department of Veterans Affairs and registered NDIS provider. Mrs Pegg’s Products Pty. Ltd. The Handy Lines are ideal for people with mobility problems, are easy to reach and can prevent falls. They are lightweight, hold a full wash load and fold flat for storage. myhomefone delivers telecommunications services to aid independent living for Australian seniors. Our simple home phone and personal security devices include a host of features with optional professional 24/7 monitoring. Throne Accessories supplies toilet aids for the elderly and people who are permanently or temporarily incapacitated. VIP Access offers design and building modification services to improve the independence of people with disabilities around their homes and workplaces. We also hire out Careport’s an accessible portable bathroom.